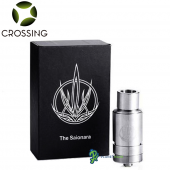 Saionara Poseidon Glass Bubbler by SZ Crossing is a high performance, compact bubbler perfectly matched to the Saionara atomizer. Turn your Saionara atomizer into a dab rig with this ingenious glass bubbler. 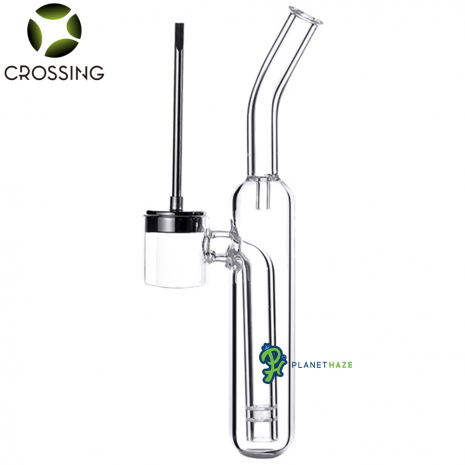 Stainless Steel carb cap and magnetic dab tool are included with the Poseidon Glass Bubbler. This bubbler is a must for any Sai enthusiast. 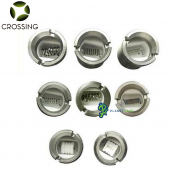 Designed by Crossing Tech California and manufactured by Shenzhen Crossing Tech (SZ Crossing). This is the REAL Saionara Poseidon Glass Bubbler by SZ Crossing, not a re-branded one by Humboldt Vape Tech HVT, MaxVapor, Divine Tribe, Atmos or Crossing California. Saionara Poseidon Glass Bubbler includes a carb cap for massive cloud production. 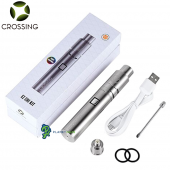 You will often find people on forums like Reddit and FC talking about how it is the best wax pen out there. 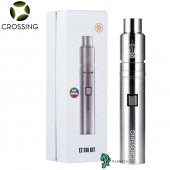 For now, the Saionara Atomizer is about the best value for those looking to purchase a reliable, high quality wax pen. 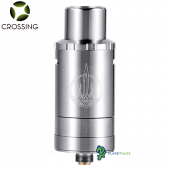 Always look for the Authorized Logo to ensure you are buying a Genuine Saionara Poseidon Glass Bubbler. Don't take chances with your health, only buy from an Authorized Distributor to ensure you are getting Genuine Authentic SZ Crossing products. 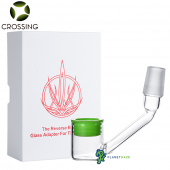 The advantage of buying from an authorized distributor is you will always get a Genuine Saionara Poseidon Glass Bubbler. You will also be fully covered by any manufactures warranty and you will receive the best service possible.